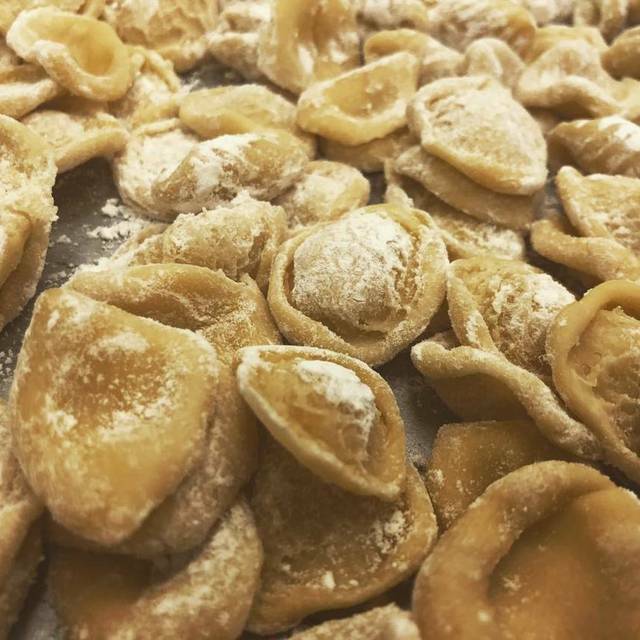 Based out of Philadelphia, Vetri Cucina has garnered national acclaim and accolades due to their Northern Italian inspired fare and unparalleled hospitality. Two decades later, the view of the Las Vegas Strip and Red Rock Canyon from the 56th floor of Palms Casino Resort provide the perfect landscape for the Vetri Cucina team to share their outstanding rustic fare, handcrafted pastas, innovative flavor combinations and artful presentations with the Las Vegas community. A fabulous experience. It was refreshing to have a non-Vegas experience dining above Las Vegas. The food was unlike anything we had ever tasted even though we love northern Italian cuisine. The staff were really friendly and the experience was superb. So delicious!! I highly recommend going to Vetri Cucina if you are in Vegas. spectacular view - attentive friendly staff-amazing food, -what’s not to love !? More intimate than I had anticipated and tables not on top of each other makes you feel it’s just you there. Fabulous. Gorgeous view of the strip. Food portions were unbelievably small for the price charged, and wasn’t anything outstanding. The ribeye was definitely not worth $195 and the beans served with it were salty to the point of being inedible. Pasta and appetizers were great, as was the service. The desserts were also outstanding. Trotz Reservierung am Vortag haben wir 45 min auf unseren Tisch an der Bar gewartet. Das geht gar nicht. Der Kellner hat permanent den Wein nachgeschüttet. Genießen wird so schwierig. Meine Pasta waren weder „al dente“ noch lecker. Optisch wurden die Nudeln als Klumpen auf dem Teller serviert. Das schaut bei mir daheim, wenn ich für mich koche, um Klassen besser aus. Toll ist natürlich der Blick, dafür zahlt man dann auch für das Gebotene einen sehr hohen Preis. While our server was pleasant, overall the service was very S-L-O-W. Setting is beautiful. Food was fine but nothing exceptional. Specialty cocktail was delicious. With so many restaurant choices available, we wouldn’t come back again. Vetri Cucina was a delightful dining destination both off and high above the Strip. 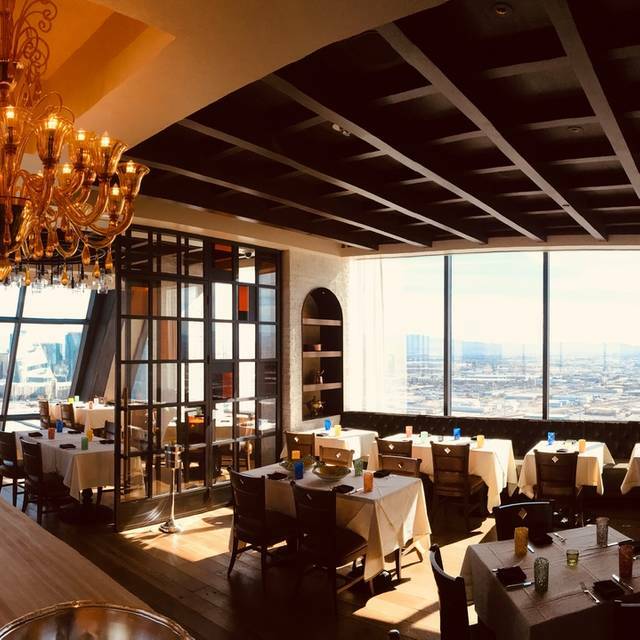 Perched near the top floor of the remodeled Palms Casino, it offered sweeping views of the Las Vegas Strip, with floor to ceiling glass windows. The main attraction of course was the food. Northern Italian in essence, the dishes were clean, simple, and well executed. A foie gras "pastrami" pate was unique in it's mildly smoky, pepper veined presentation. So creamy, and generously portioned, it was a perfect appetizer for two. Entree stand-outs were tender braised goat over creamy polenta, and a seafood medley with the octopus component as well prepared as any I've had in Spain. Combined with friendly, attentive service, it made for a lovely date night. This was a dinner not to be missed, and remembered always. The setting, of course, can't be beat: 55 stories up, overlooking the Las Vegas Strip, as the sun sets and the lights come on all over town. But the true memories come from the presentation, start to finish: excellent servers, perhaps the best northern Italian cuisine to be found anywhere in the U.S., and the cocktails and wine were perfect. Yes, it may be a bit pricey, but you know that going in, and the ambiance and flavors far more than make up for the extra dollars spent. Well worth the experience! Best meal we've ever had in Vegas. The pasta is incredible. The antipasti superb. We asked for a table by the window and were reseated. I can only recommend. Food and service were fantastic. Had dinner here with a few coworkers. What a great experience. The food was outstanding and the service was top notch. I can’t wait to go back. Incredible music and views paired with amazing food. Will definitely be back! Fantastic italian food in a beautiful setting. 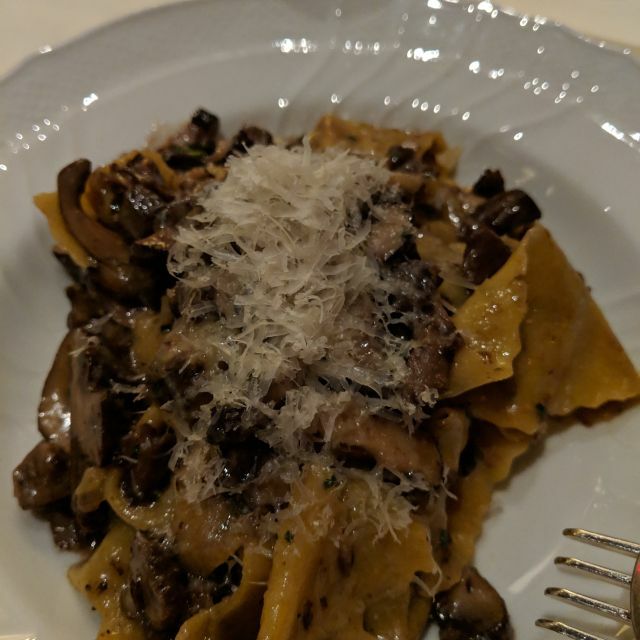 In fact, it is the best Italian food we've ever eaten in Vegas. The service was also friendly, informative and really added to our enjoyment of the evening. LOVE this place! The people are all spectacular - especially Kacee, Luke and Brad at the bar, which is where I dined 2 nights in a row. 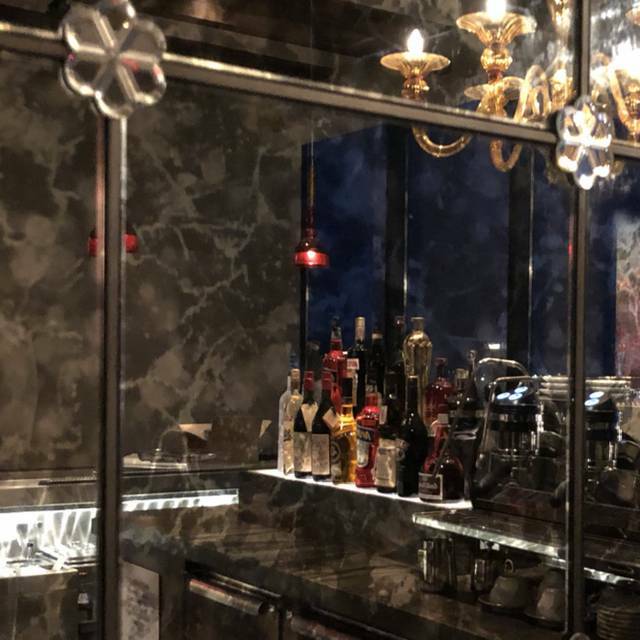 Their mixology is top-notch, and the menu shows new drink creations. Very warm, relaxed vibe. The food is inspired, and while the menu might all fit on one page, each item is unique and something I've not (or rarely) seen elsewhere in that specific preparation. I found myself asking a lot of questions about how various menu items were prepared or what they consisted of - and that's not a bad thing in the least, as everyone was eager to share the answer. The presentations are some of the best I've seen. The taste of everything was incredible. The portions are perfectly sized. I enjoyed the Beef Tartare, the Foie Gras (beyond words) and the Carbonara, among others. Definitely one of my new favorite locations when visiting Vegas. Can't wait to visit my new friends again! We were very pleased with service, food was amazing and let me tell you that desert was so delicious! We can’t wait to come back to enjoy dinner again. Delicious food & impeccable service. Our waitress was very friendly, and our glasses were always full. I felt it was a very pretentious place for no real reason. (I consider myself a pretty worldly person with a sophisticated palate and I had to google 6 items on the menu.) The food was highly overpriced. 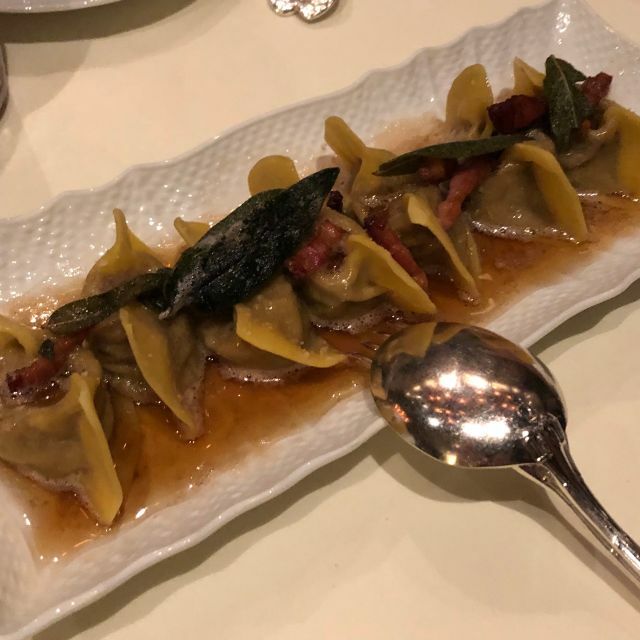 6 tortellini for $30? Never in our wildest dreams did we think MP on our steak would be $200! The food was good, but not great. I left full but not satisfied. The ambience was not what I thought, very noisy. Although, the view was pretty. 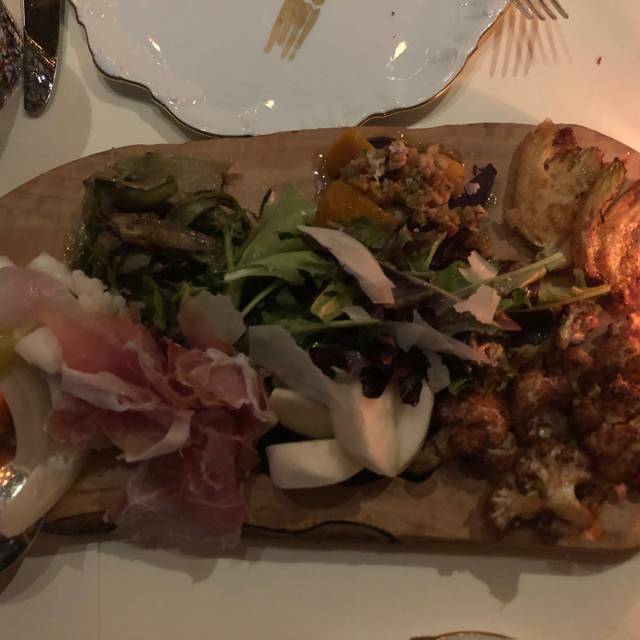 Was probably the most turned off when the chef came out and introduced himself to the table right next to us and then didn’t to us... and in that moment, we were one of only three tables seated. Was it because we didn’t buy an expensive bottle of wine? I thought it was snobby. I did appreciate the “Happy Anniversary” drawn on the dessert plate. Extra star for that. In the end, we dropped $375 at this place and and still contemplated making myself a bowl of spaghetti when I got home... I would search elsewhere for your special occasion. 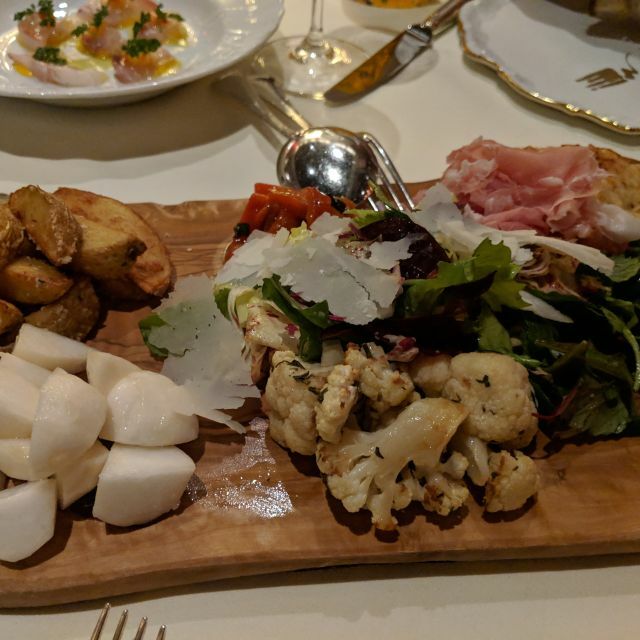 Everything about Vetri Cucina is perfection- the place, the service, the food and wine...it could not have been a better experience. Great service, delicious food, romantic ambiance, and beautiful view of the city. We had a very knowledgeable waitress who made some great suggestions on what to eat. The wine list is extensive and the mixed drink choices excellent. We had a great experience and will definitely stop back on our next visit to Las Vegas. 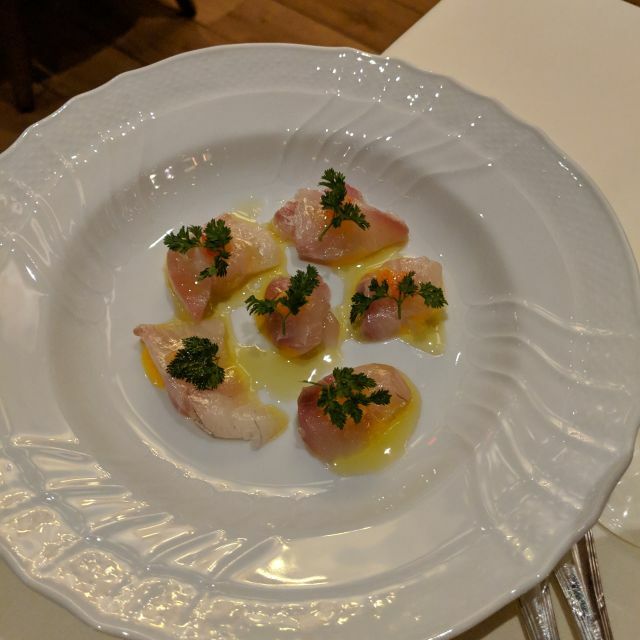 We ordered a tasting menu which was recommended by our server. Fabulous sampling of the menu and everything was exquisite! Food was amazing, very filling - best to dine family style ! EXCELLENT!! Truly fantastic meal and service. Can't wait to go back!! Great. Met and exceeded all expectations. Vetri Cucina has a lot to offer for a romantic diner. The view and the location of the restaurant being on the very top of the hotel, gives you a look like no other. The staff very exceptional, from the first floor check in, to all the staff once you enter the restaurant. You are looked after from the moment you arrive, and even as you leave. The knowledge of the staff really made our experience worth our visit. The pricing was a little high for an Italian restaurant. I would highly recommend having the chicken with spring vegetables or especially the Goat meal. Both were superb, and if you enjoy eating Lamb, you will really enjoy eating their Goat meal. Outstanding!! Pastrami foie gras was to die for as was the tartare! Great views , great service, will definitely be back! Should add some good medium priced wines. Other than that I loved it and will definitely go back. I have already recommended it to friends who were in vegas. What a refreshing change from the typical Vegas Casino dining experience. Staff was incredible. They were true professionals. Knowledgeable, accommodating, attentive, the list could go on and on. Tried a bunch of dishes on the menu, our favorite was the linguine with pistachio pesto. Our server Anthony was extremely personable and knowledgeable about the restaurant history and all the dishes. Plus a beautiful view. Brooke & Bethany were awesome! Wonderful evening. The views are amazing. Our server was fantastic and the food was outstanding. We were a party of ten and everyone loved their entrees. We shared platters to start which were equally delicious. And the wines and cocktails were great too. Can’t recommend this enough. Everything about vetri is amazing and the food is outstanding. The food prices may seem high but remember you are also paying for the amazing views and service. Such a wonderful feast. Service was incredible and so helpful in assisting us to choose a wine and menu options. 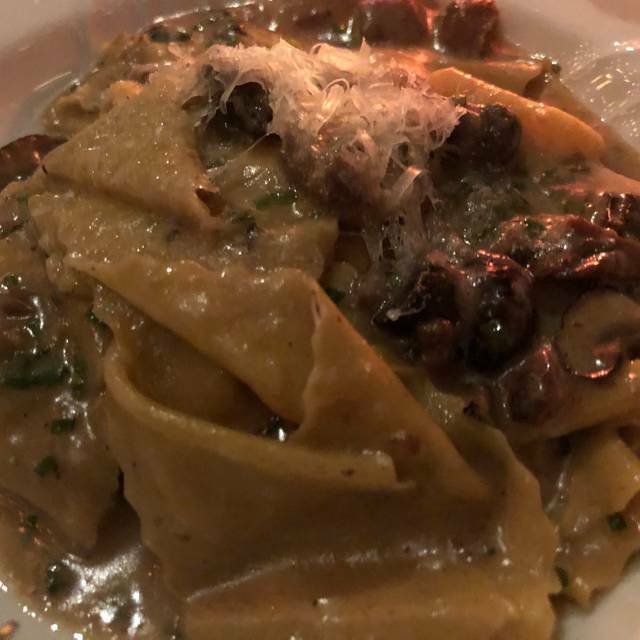 We had the sweet onion crepe app, almond tortellini and chestnut rigatoni with wild boar ragout entrees, and then pistachio flan and chocolate polenta dessert. Everything was delicious. I would definitely go again - there were a lot of other items I wanted to try. One of the most amazing meals I have had in a long time. Great views, wonderful atmosphere and excellent service. All Vetri trademarks but they really excelled this time. AT the end of the meal had a final beverage with Chef's Bobby Flay and Michael Symon who were there to show there support.